How would you rate your experience with 3 Day Blinds ? 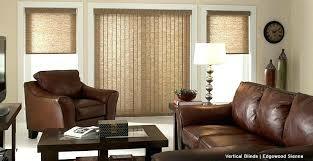 3 Day Blinds is an innovative company, founded in 1978. Originally sold in retail locations, the company quickly discovered that rather than create new products and designs that customers might not purchase or that would go out of style, they could sell directly to the consumer from their own homes, creating custom window treatments. Products that are ordered one day are manufactured the next either in Anaheim, California, or Ensenada, Mexico, which is near the border of California. Items are then shipped that day or the following day. Company headquarters are located in Irvine, California. Question 1: What is the phone number for 3 Day Blinds? Answer 1: The phone number for 3 Day Blinds is (714) 634-4600. Question 2: Who is the CEO of 3 Day Blinds? Answer 2: The CEO of 3 Day Blinds is Dave Hall. Question 3: Who founded 3 Day Blinds? Answer 3: 3 Day Blinds was founded by Unknown in 1978. The blinds for my entire home had to be redone several times. They even changed the color of one of my blinds without me knowing. So many came in short, and now too long. I just happened to check the blind and the blind is 1.5 to 2 feet long. And all they can tell me is sorry, 30 days. It is a manufacturer’s error, which happens to be their company. And their customer care manager tell me I have a discount. They have discount when rep comes in to lock you in and you don’t check out the competition. Check out the other’s first, because you pay and they don’t deliver with class. Their case manager’s don’t look at detail and will not help you. Bad Customer service all around is not what you want when you pay upfront and if you or installer miss it, then they are happy you have a shotty job, all they care is they have been paid. I will NEVER recommend them to anyone, only share my story. Bought 5 blinds from 3 day blinds. The woman who sold me the blinds was very good at her job. However, after the blinds are sold and paid for that is where your customer service ends and I would rate it at 0. You use contractors to install the blinds. I received 2 e mails from 3 day blinds informing me of the time of the installation. The installer called the day before with an entirely different time. I contacted the Debi the woman who sold me the blinds and Kris Favero in your home office. No call back, no e mail – nothing. Very poor customer service. I will not recommend your company to anyone I know. So unprofessional. Nancy Perrault Rudick p.s. Will go back to Next Day blinds for the other ten windows I need window treatments for. Want to make sure 3 Day Blinds sees your comment or complaint?